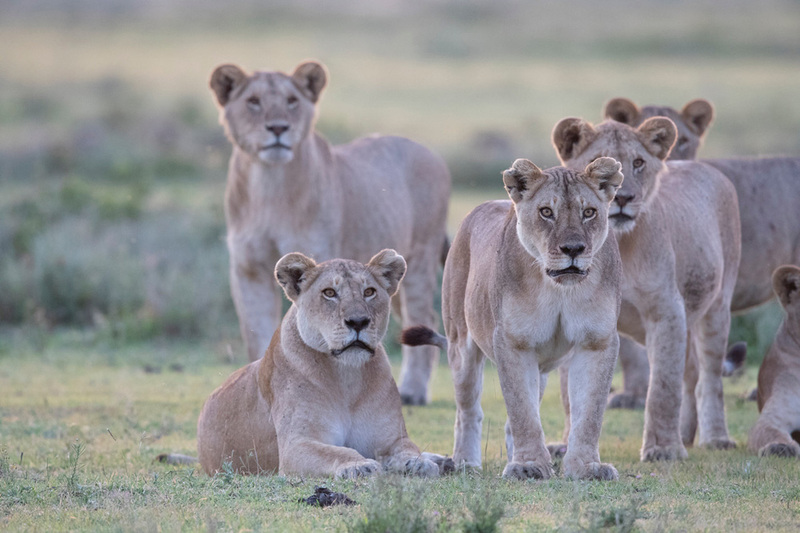 As a wildlife photographer we consider un-spoilt areas teeming with mammal and birdlife as paradise. But … can tropical paradise of white beaches surrounded by deep blue waters also be a wildlife photographer’s idea of paradise? Not many destinations would easily fit that description and only one readily springs to mind.. Greystoke Mahale! So it was with a lot of excitement that I set off to Mahale with loyal C4 clients and friends Nev and Viv Bryant. 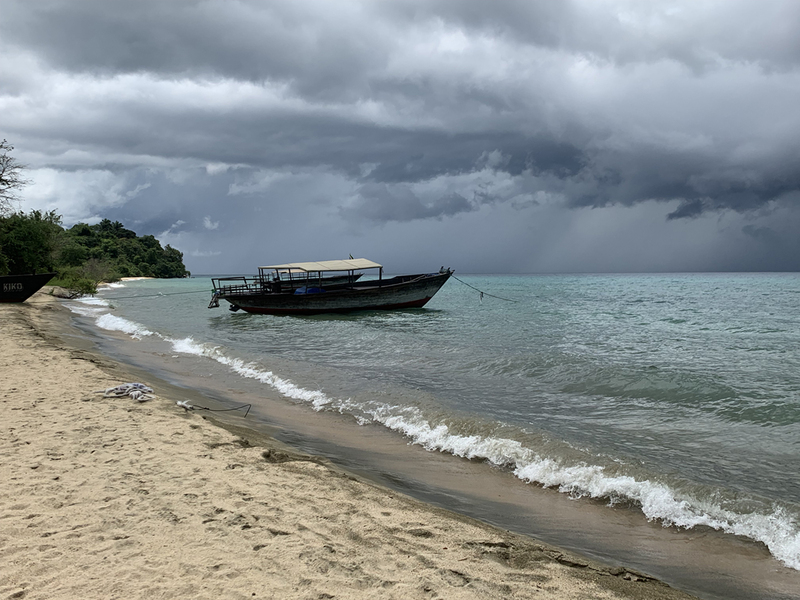 Any trip to Mahale generally starts with a long flight from somewhere in Tanzania to the remote shore of Lake Tanganyika on Tanzania’s western boundary. A precarious descent onto a short runway always gets the adrenalin going. After completing park entry formalities, it is onto the motorized dhow for lunch and the hour and a half’s leisurely cruise to the lodge. 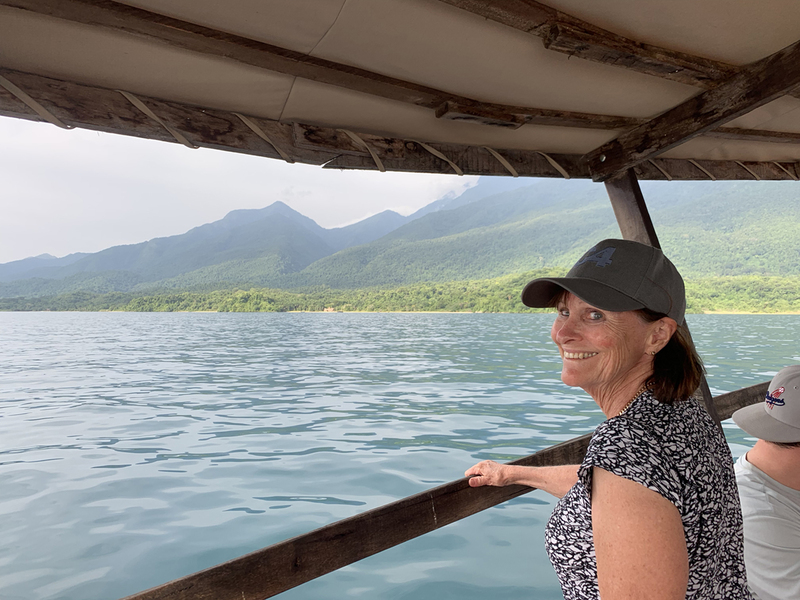 Our guide Butati gave us an excellent lecture about Lake Tanganyika which holds about 17% of the world’s fresh water and a massive variety of endemic cichlid species. 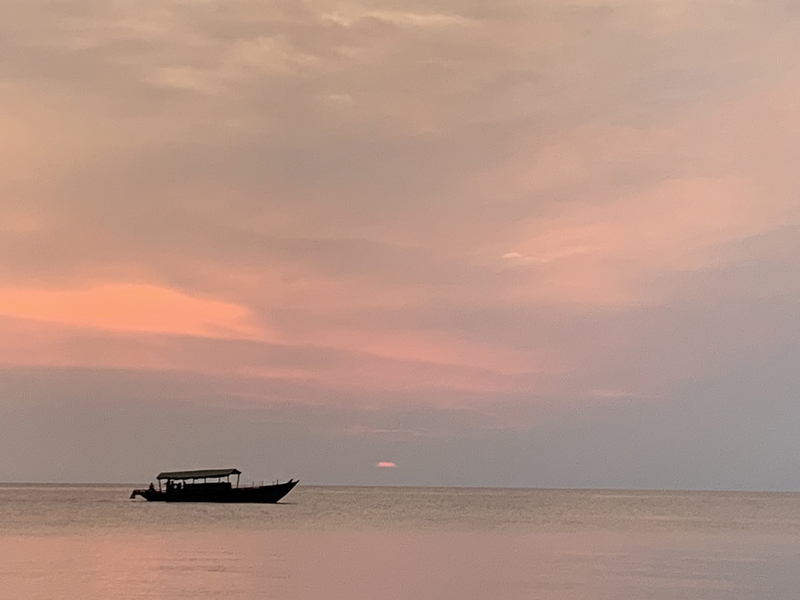 As fishing villages give way to forest and Palm-Nut vultures glide overhead the excitement builds..
And can there be a better welcome to this beautiful area than flushing 2 Pel’s Fishing Owls? One of which obligingly sat on a clearly visible perch. 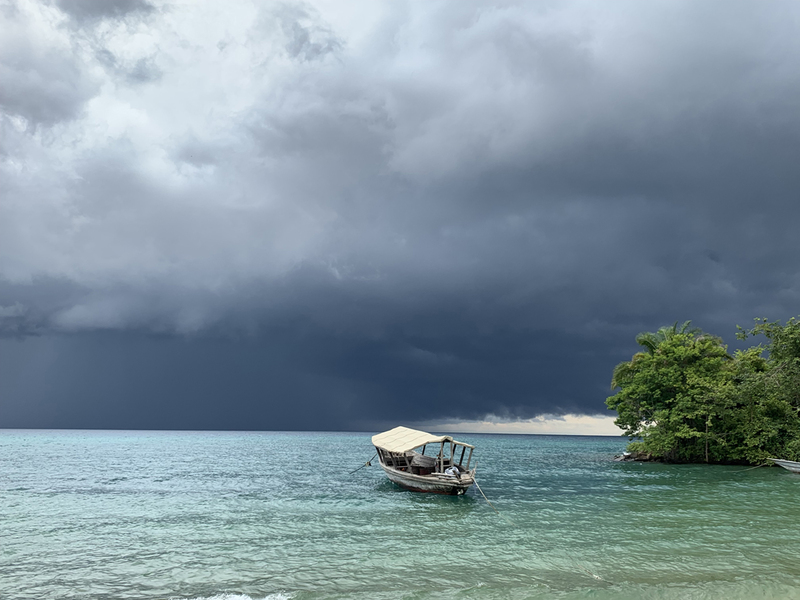 Our spirits quailed as the rain set in and no news of chimps filtered through from the trackers braving the elements in the Mahale mountains. We eventually called it a day and just appreciated where we were and the prospects that awaited us. 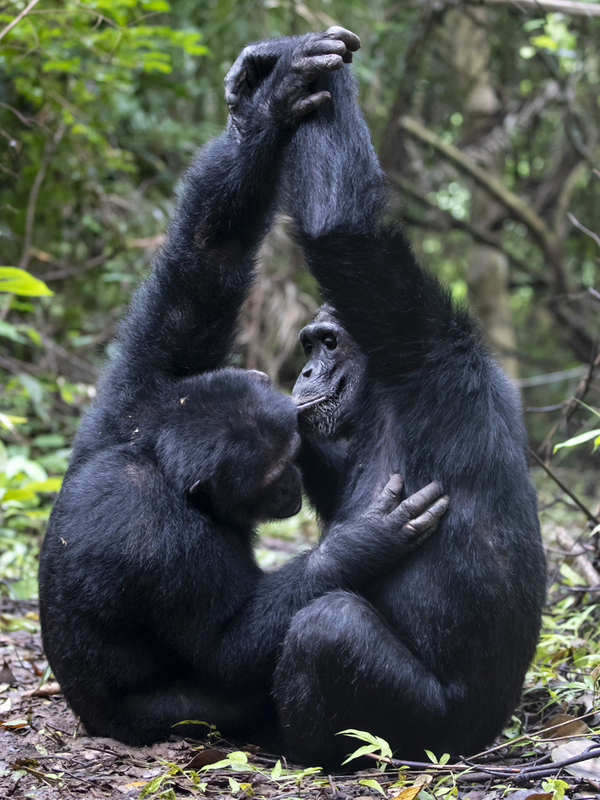 Our fantastic guides Mwiga and Butati at least lifted our spirits with late afternoon news that the chimps had been located and that we would set out early in the morning to the area that they had last been seen. 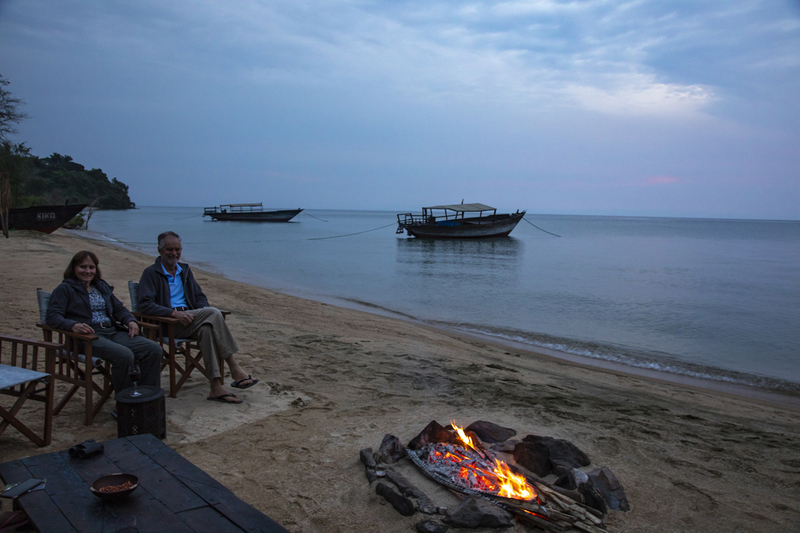 So, after a sumptuous meal prepared by Barbara and Fabio and their team we retired to our bungalows with the waves on the lake gently lulling us to sleep. Early the next morning we set off on our walk to find the chimps. 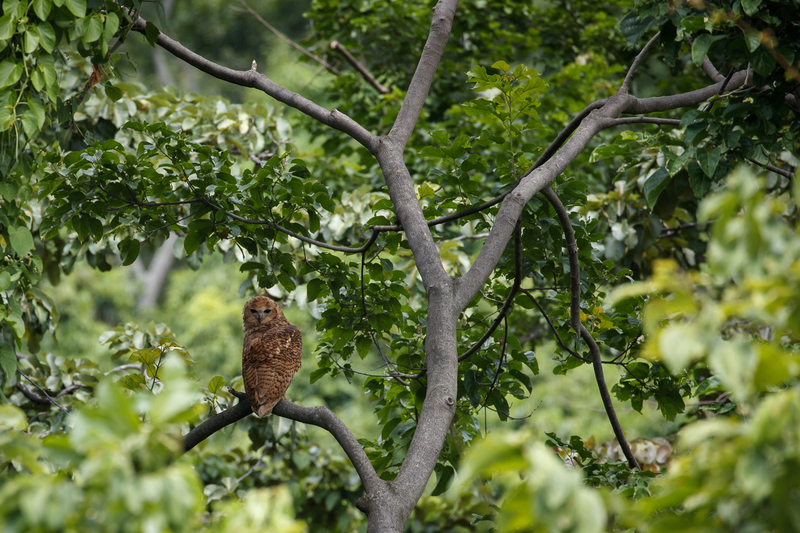 We were very pleasantly surprised to find them not too far away with not too much of a climb to reach them. Their behavior always amazes me. 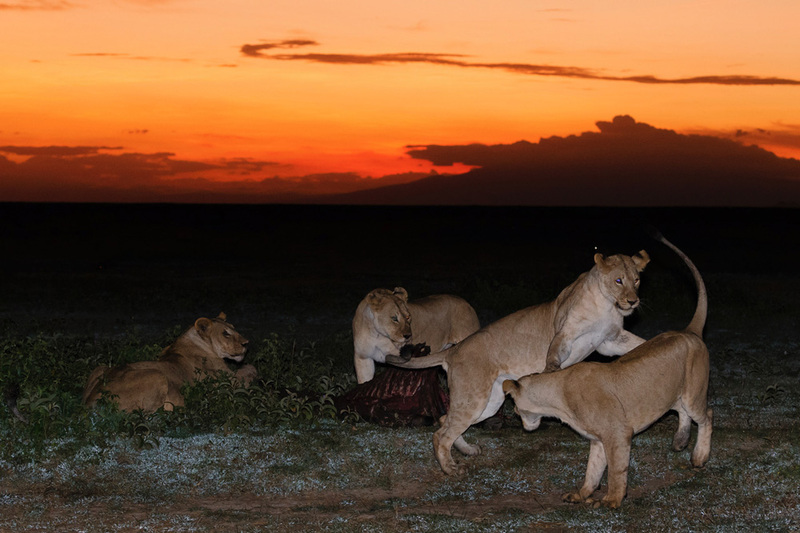 So human in the politics and bickering between the dominant males, the cries of anger, fear and apprehension. The females foraging and trying to keep their babies out of the way. 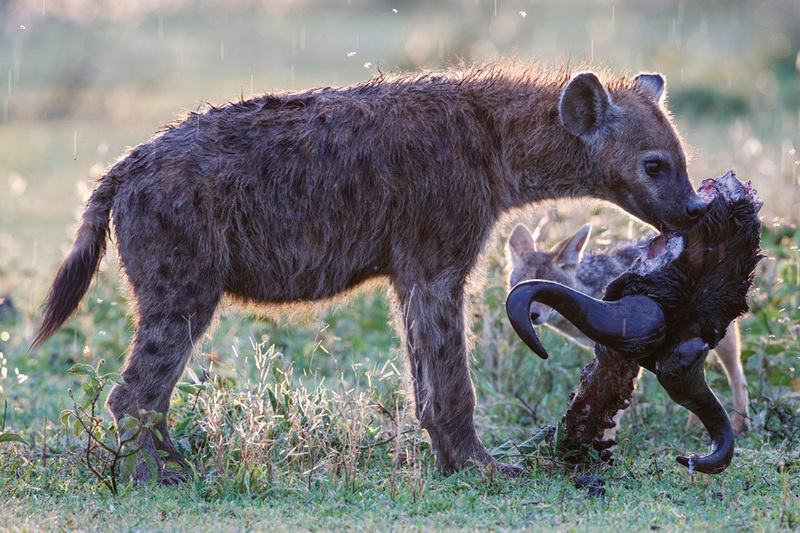 The grooming behavior and of course the Mahale handclasp … A behavior generally only observed in the Mahale troop. 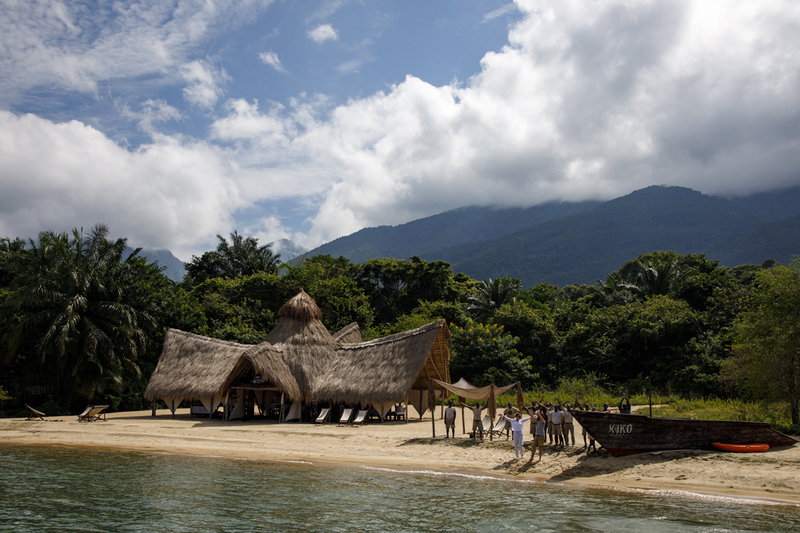 Time flew by and before we knew it, our guides said that we needed to make our way back home. The chimps though had other ideas and followed a similar route to ours and we had another great encounter as they crossed the same river as ourselves. Our expectations had been met and exceeded. 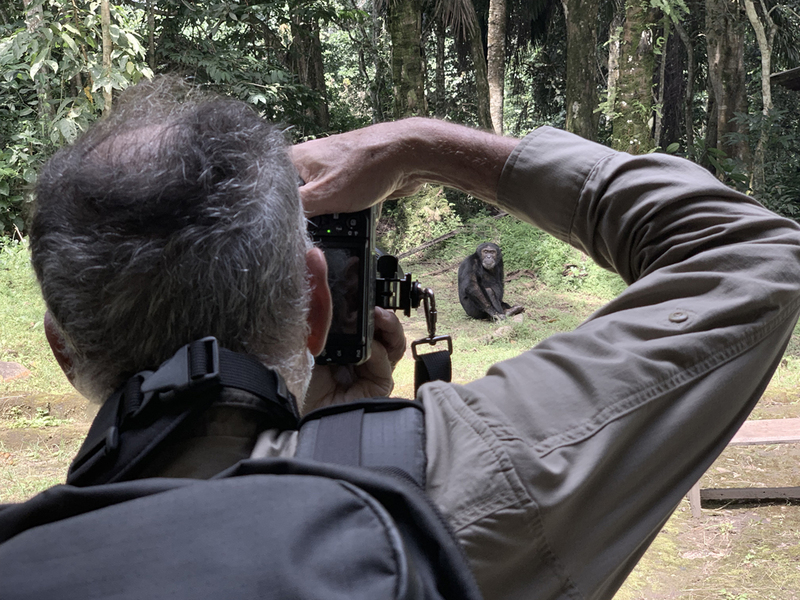 We still had another full day of Chimp viewing. What more could we find? News was slow the next morning. 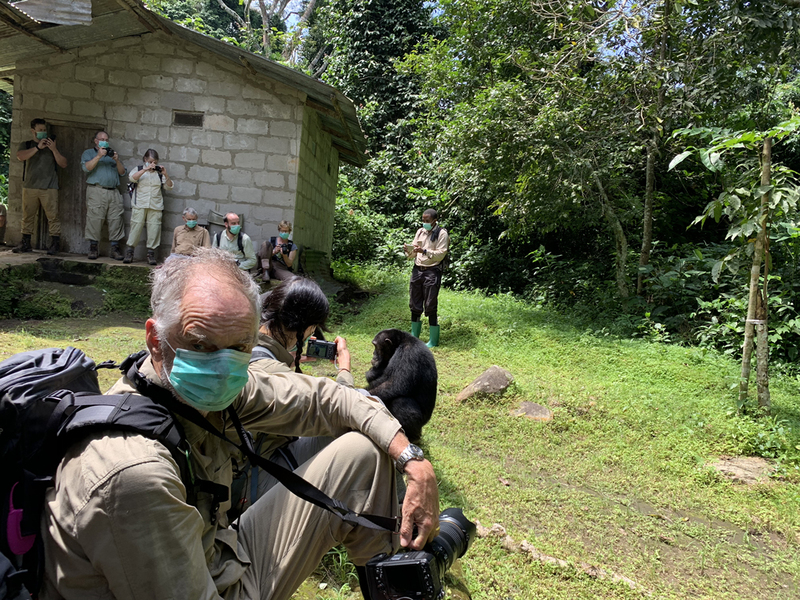 Eventually we got word that the Chimps were in the Japanese Research Camp (a project that has run continually since 1965). We quickly made our way there by dhow and a brisk stroll. 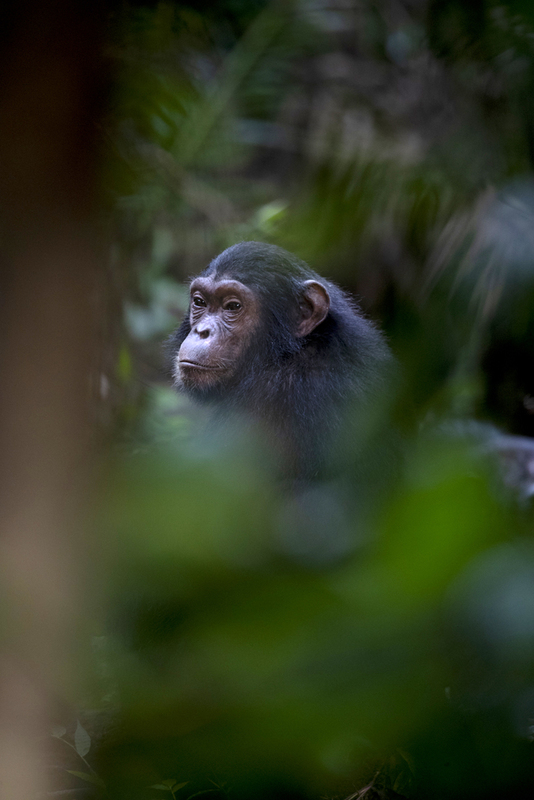 When the chimps are in the research camp they exhibit a behaviour called tin-roof bashing which is not recorded in any other troops. The behavior amounts to them bashing on the corrugated sheets and trying to make as much noise as they can. 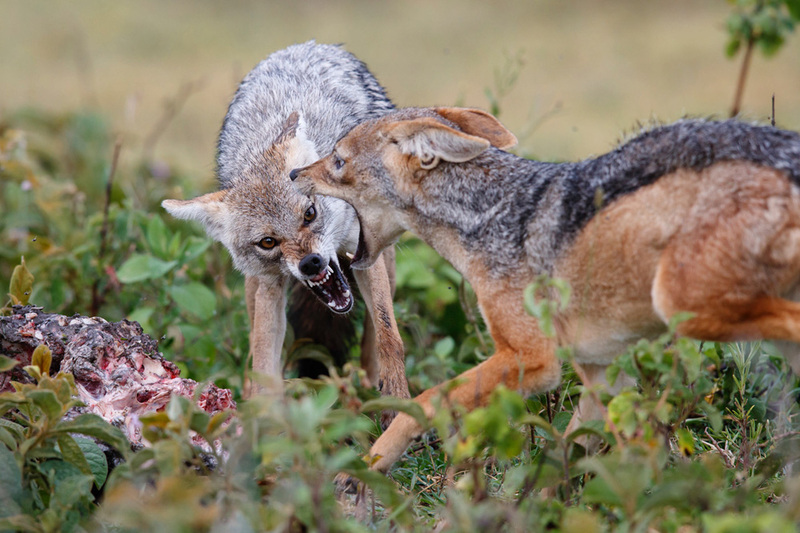 Partly to communicate their position and also displaying dominance. And so, all good things have to come to an end. It was with heavy but extremely happy hearts that we had our last evening meal at Mahale and got ready for the long haul back to Arusha.